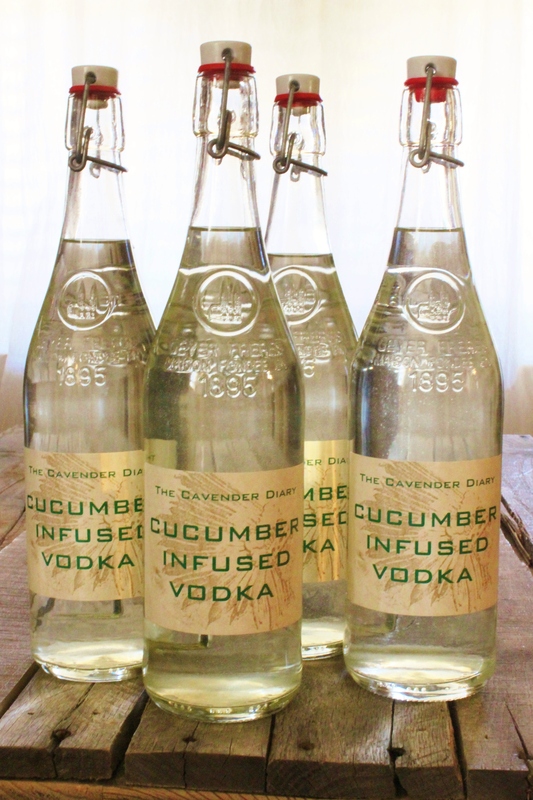 Infused vodkas are very easy to make. We’ve done lemon and cranberry before, but thought we’d shake it up a bit this year and make cucumber. Crisp and refreshing, what could be better with tonic and a squeeze of lime? Am I right? English cucumbers, the ones wrapped in plastic at the grocery store, are milder than garden cucumbers. And better yet, have fewer seeds. 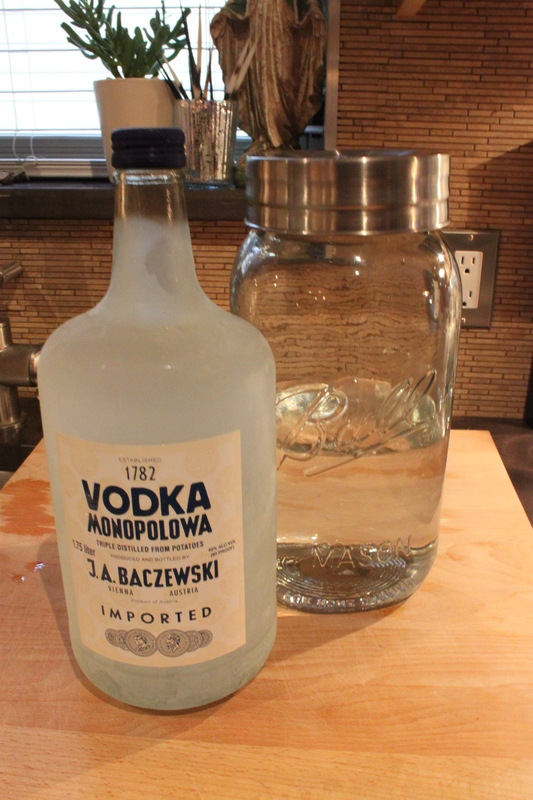 Peel, seed, and roughly slice one for every 750 ml of vodka you plan to infuse. I’ve wanted a reason to buy one of those giant Ball Mason Jars from Target, and here it is. Fill the glass jar halfway with decent vodka. Not necessarily expensive. We used Monopolowa. Anywhere from a few days to 2 weeks. Any longer and the cucumber will become bitter-tasting. After about 10 days, you’re ready to bottle it. We’ve been saving upcycled lemonade bottles all year (by drinking the lemonade). I’m crazy about the hinged cork top. Want something similar? 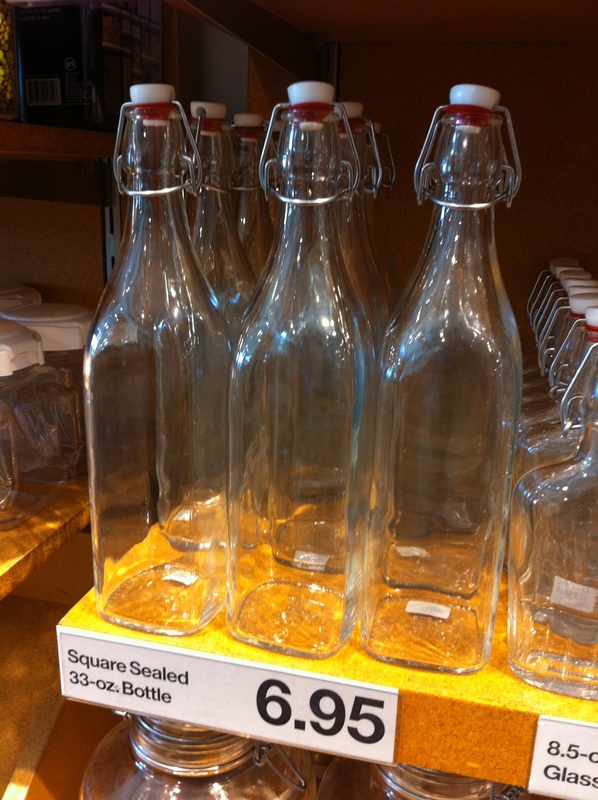 We found some just like them at Crate & Barrel. 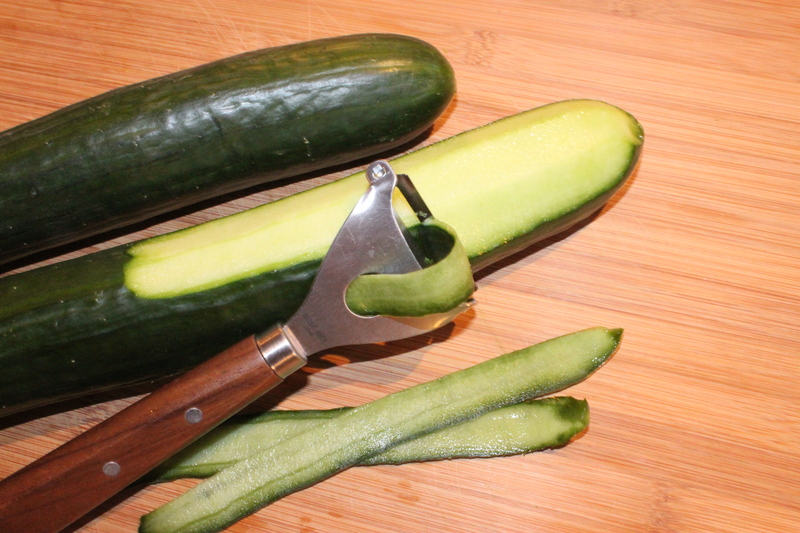 Before bottling your vodka, it’s important to strain out the little bits of cucumber. 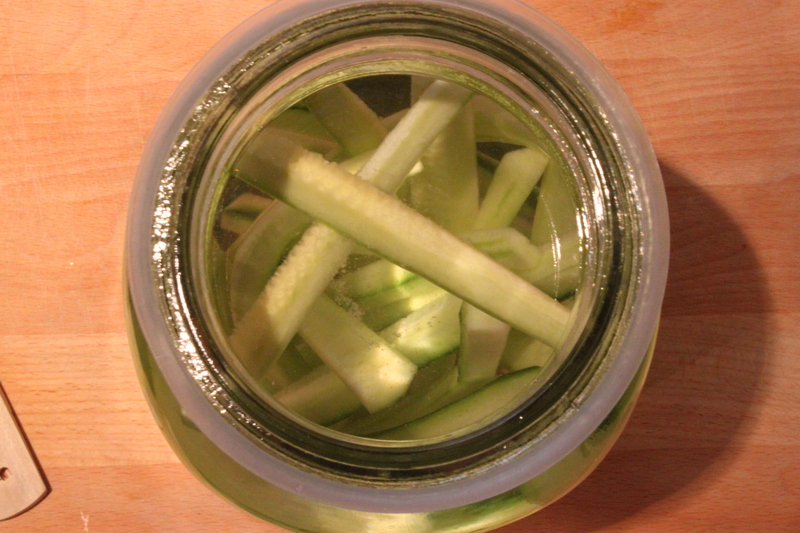 I scooped out the cucumber slices and threw them away…..Ok, I had a taste first…..they weren’t good, slightly, ok very, vodka pickled. 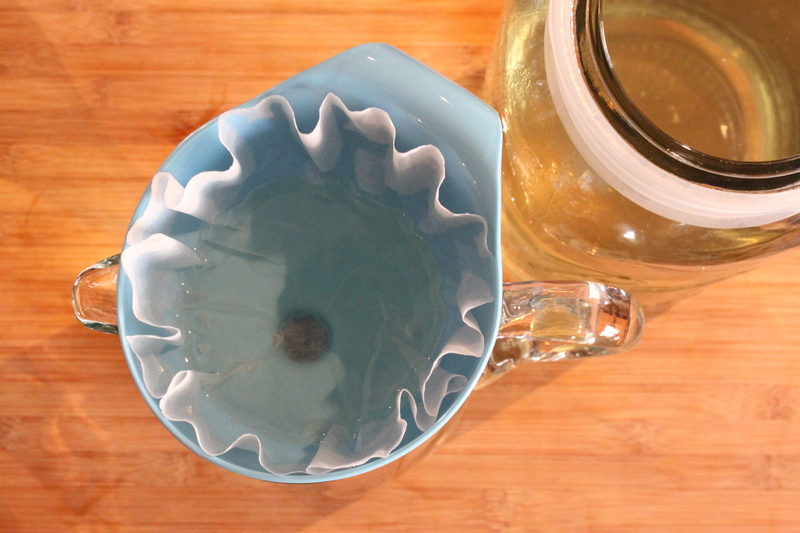 Line a funnel with a coffee filter over a glass pitcher. Not the fastest way to strain, but it works. 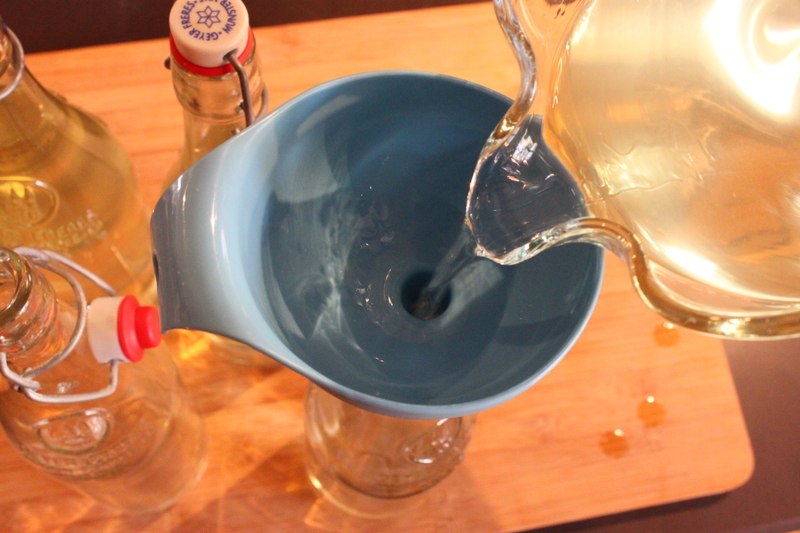 Then pour the strained vodka into the bottles. I put together labels on Vistaprint. I wasn’t thrilled with any of the templates they offered, so I started with a blank slate and an Indian headdress graphic that I aged and faded, then added my verbage over that; in green of course, as a nod to the cucumber. These were so easy to do that now I’m looking into a few other projects on the Vistaprint site. Stay tuned…and try to act surprised. 50 cents each, for extra-large (3 inch X 4 inch), I ordered 8 just in case there were any mistakes applying them to the bottles. Vistaprint shipped them almost the next day. The green lettering picks up the slight green tint of the vodka. 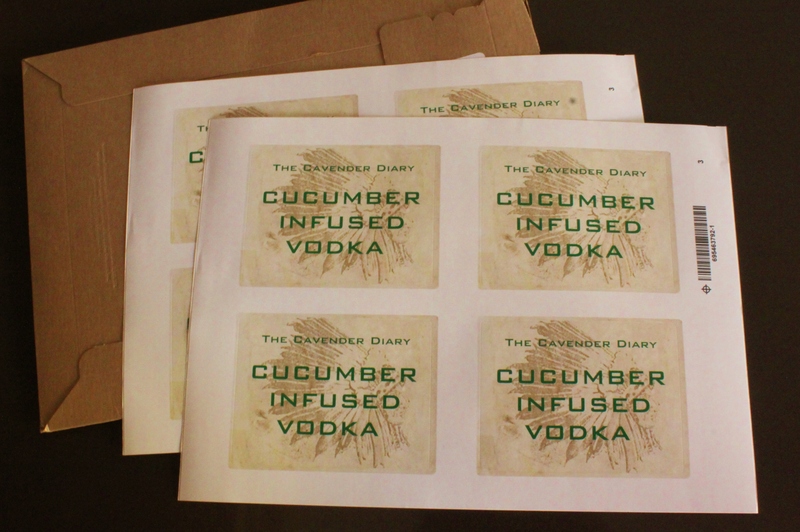 Because we thought that some of our friends would be a little puzzled about what the Heck to do with cucumber vodka…….we included a recipe card for our dear friend Robin’s Cucumber Cooler. Delicious, give it a try sometime. AND……. 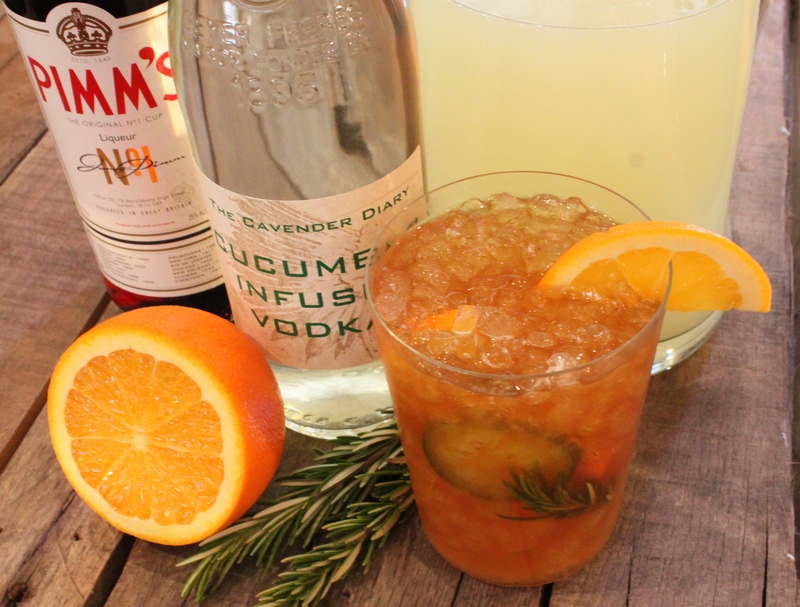 try infusing your own vodka. Cucumber, lemon, vanilla bean, ginger, cranberry, serano….give any of these a shot. We guarantee that you’ll love it. …..and so will the friends that you give it too. Ooooh! Yum yum yum yum. I’m currently taking January off of booze to wash out the crazy holidays, so maybe I can make some of these to be ready for my return-to-cocktails February. Great idea! Wow, I have never been so excited to “drink” my vegetables! Can’t wait to try it! Looks like a lot of work (not really but I am LAZY). So that’s why I sent the recipe to my husband, so he can make it for me! Yay! 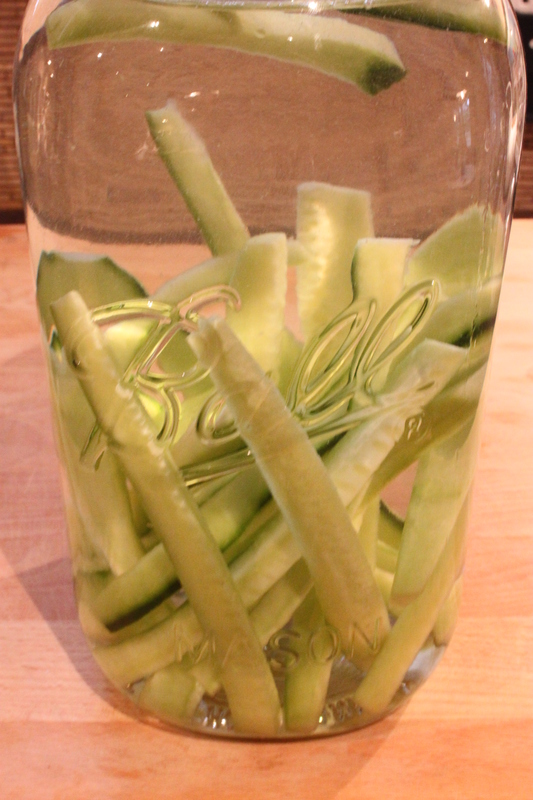 It almost couldn’t be less work, just add cucumbers to vodka and wait a few days……. This is on the list for my housewarming party next week. Do you think it will be as good made in a big batch for people to pour themselves? Sounds fine to me…….and refreshing. What time should we be there for cocktails? 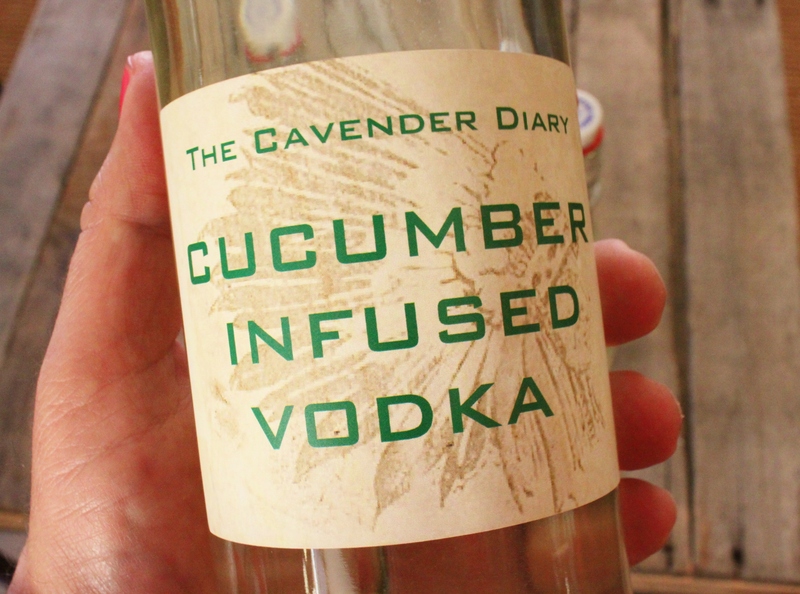 This might be a silly question, but what is the “shelf life” of the finished infused vodka? Does it go bad with the fruits/vegetables infused? Does the bottle of finished deliciousness have to be sealed? Stephanie, honestly last night I finished (drank) the very last of this vodka……and I’m pretty sure it tastes better with age. When was this? 2 years ago? We have some now with cranberries in it……and they still look “ok”. The alcohol preserves the fruit like animal specimens in embalming fluid. I know, not an appetizing reference. Hello, did you use fresh or dried cranberries? Thanks in advance! Hi Mary Jane, fresh cranberries……..always.